branding, logo design & packaging for Virginia’s 2nd oldest craft brewery. 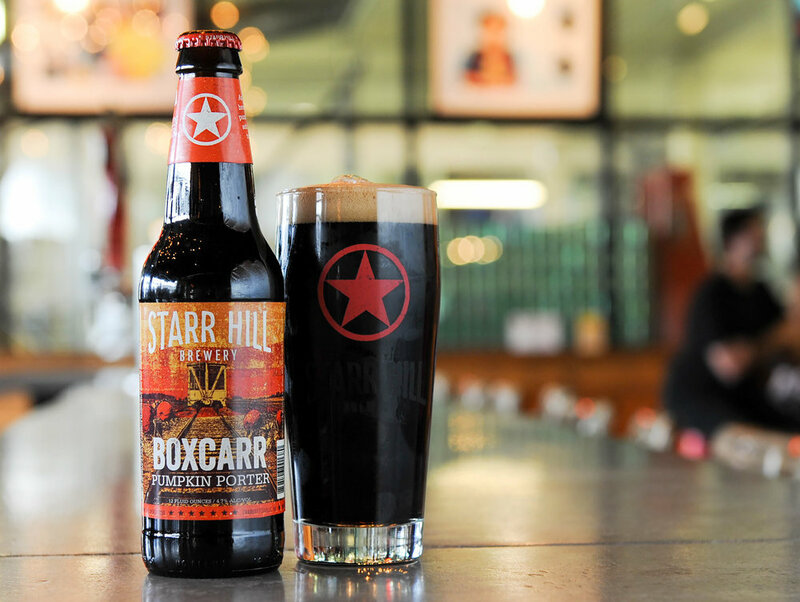 Starr Hill Brewery is a mid-size brewery distributing throughout the mid-Atlantic and Southeast U.S. The brewery has a loyal following and a strong brand story, rooted in live music and its Central Virginia location. As a result of a brand identity that failed to tell the brewery's rich story, the brewery was struggling to remain relevant and expand its consumer base in a booming craft beer industry. The objective of the brand refresh was to tell the Starr Hill story in a more authentic way and bring consistency to the visual brand. The new identity’s hand-crafted typography and imagery form the foundation of a consistent visual brand. The iconic "starr" has been the hallmark of the brand since the brewery's launch, and is the only remaining visual element. To preserve it's iconic status, the "starr" has been changed to red, and given more prominent positioning. The landscape of central Virginia and the brewery’s roots in music provide inspiration for the packaging. Textures and graphics in the packaging take cues from 60s & 70s rock posters. The bright, simple color palettes are a nod to each beer’s legacy packaging, and define a distinct identity that carries over to tap labels, keg collars, and other print collateral. Since the introduction of the new design in June of 2015, sales of all beers across the brewery’s portfolio are up 22% and their flagship brand, Northern Lights IPA, is up 40%.